The big events of the weekend were the IAU 100km World Championships in Doha and the British and Irish Masters Cross Country International, details for which are here for the World 100km and here for the Masters International and both events will feature in more detail in this week’s Athletics Weekly magazine, out Thursday. 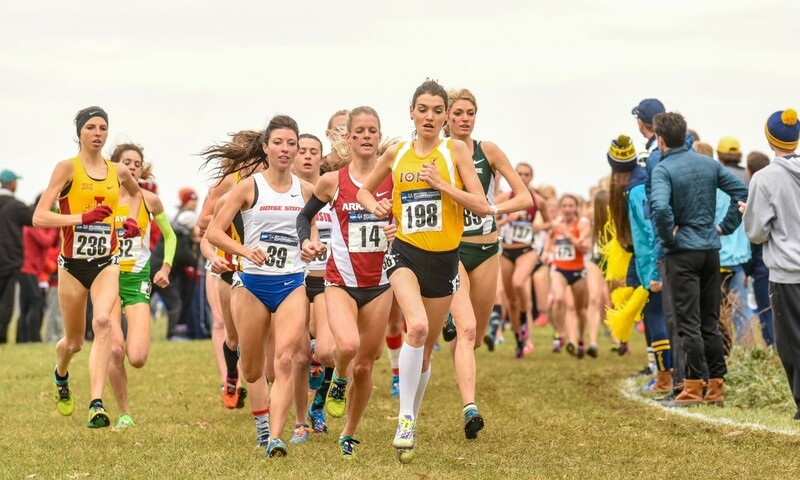 Repeating her front running tactics from last year where she was third, British athlete Kate Avery of Iona College pulled off the win of her life to take the 6km title in 19:32 ahead of Sarah Disanza who ran 19:40. Pre-race favourite Emma Bates was third in 19:45. Alice Wright was the second Briton in 20th in 20:30. Kenya’s Edward Cheserek defended the men’s 10km to win easily in 30:20, with his Oregon teammate Eric Jenkins second in 30:24 from Eritrean Futsum Zienasellassie’s 30:26. The leading Briton was Marc Scott in 14th in 30:39. Colorado won the men’s title with 65 points from Stanford with 98 and Portland with 175. Michigan State won the women’s title with 85 points from Iowa State with 147 and New Mexico with 188. Matthew Clowes was the leading Briton in sixth place in 25:05.6 in a race won by Bernard Keter in 24:36. British Olympian Scott Overall was seventh in 30:28 in a race won by Eritrean Tsegay Tuenay in 29:17. Two-time European champion Fionnuala Britton and Paul Pollock both defended their titles and put themselves in line for European cross-country championship selection. Britton won the 8km by 75 seconds in 26:59 while Pollock outsprinted Mark Hanrahan to win the men’s 10km in 30:40. James Kingston of Judd won the boys 3km in 12:38. In sixth place of the 300 runners, and watched by his famous father, was Romeo Beckham in 13:05. Beckham junior finished 110th at last year’s event in 15:18. Alexandra Millard of St Edmunds won the girls 2km in 9:58. Paskar Owor led Belgrave Harriers to victory as he won the five mile event from John Gilbert and London champion Dean Lacy. Belgrave also won the women’s team event in a race won by guesting Georgina Bruinvels, though Herne Hill’s Stacey Ward took the official title. James Baker and Emma Macready won the individual senior races. In the 14th edition of the race at high altitude, Azmeraw Bekele won in 30:11 from Azmeraw Mengistu in 30:13. World medallist Wude Ayalew won the women’s race in 34:03 from Netsanet Gudeta who ran 34:09. Altrincham’s Jordanian athlete Mohammed Abu-Rezeq narrowly won in 67:16 from Wallsend’s Ethiopian athlete Yared Hagos. Kim Fawke-Williams won the women’s race in 77:52. A record nine athletes broke the hour with best for places set from sixth to ninth. Guye Adola set a course record in 59:06 just ahead of this year’s world champion Geoffrey Kamworor who ran 59:07. Kenyan world record-holder Florence Kiplagat defended the women’s crown in 70:04 to defeat another reigning world champion Gladys Cherono.